The tabbed browsing interface of old has been replaced – users looking for files in photos and favorites will find them in the side menu. Also, the refresh button to make auto-uploaded images visible has been removed. Gesture controls include include opening the menu by right-swiping from the root folder. If utilized in a different location, the gesture will take the user one folder up. 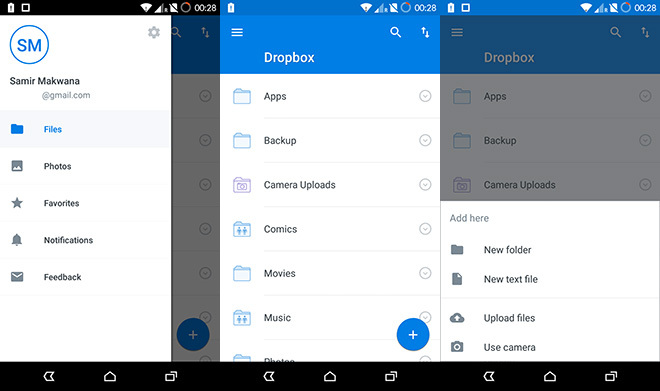 This update is available for those who have opted to get early releases from Dropbox. We expect this new version to hit the Google Play store in the next few days.